The Beach Club on Fort Morgan is one of the true resorts in our area. The Moorings is a Bay Front community located in Orange Beach. It is next door to Playa and the Pleasure Island Tiki Bar and Sportsman Marina. 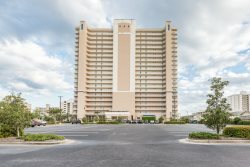 Tidewater is in the heart of Orange Beach! In one word, Turquoise is Luxury.